Oxford University Press - coverage from ancient Greece to the most recent theatrical developments, including information on plays, circus, film, radio, and more. The online version of the printed encyclopedia. Oxford University Press - Full-text references on the performing arts. Includes dictionaries on dance, music and opera. Some titles are available in paper: International encyclopedia of dance is at Reference GV1585.I586 1998, The Oxford dictionary of plays is at Reference PN1625.P38 2005. Alexander Street Press - Theatre in Video contains hundreds of videos, including documentaries and definitive performances of the world’s most important plays. From celebrated productions of Shakespeare to rare, in-depth footage of the work of Samuel Beckett, the collection covers a wide range of 20th century theatre history. Interviews with directors, designers, writers, and actors, along with excerpts of live performances deliver an authentic, behind-the-scenes look at hundreds of productions. Alexander Street Press. •	Dance in Video contains dance productions and documentaries by the most influential performers and companies of the 20th century. Selections cover ballet, tap, jazz, contemporary, experimental, and improvisational dance, as well as forerunners of the forms and the pioneers of modern concert dance. Keyword search for historic stage design, costumes, actors, and more. What is the nature of theatre's uneasy alliance with literature? Should theatre be viewed as a preliterate, ritualistic phenomenon that can only be compromised by writing? Or should theatre be grouped with other literary arts as essentially textual, with even physical performance subsumed under the aegis of textuality? Worldwide coverage, more than 530 photos and illustrations, useful maps, and the expertise of Oscar G. Brockett and Franklin J. Hildy, two of the most widely respected theatre historians in the field. Offers overviews of theatre and drama in many world cultures and periods together with case studies demonstrating the methods and interpretive approaches used by today's theatre historians. Explores the rich and complex histories of English, Scottish and Welsh theatres from early Britain to the present. From the classics of ancient Greece to the best of modern American theater, this guide provides a plot synopsis, stage history, cast listing, analysis, and critical opinions for each of 750 outstanding plays. In-depth coverage of Broadway musicals from 1850-2001. The book's entries span more than 5,000 shows, including not only "book musicals" but also revivals, revues, burlesques, operettas, and more. 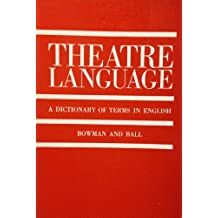 A dictionary of terms in English of the drama and stage from medieval to modern times. Provides 205 tips for refining such acting skills as technique, textual study, transitions, role building, play-writing, and strategy. This classic work on acting is one of the very few that stands beside Stanislavsky as a must-have for all acting students and professionals. Richard Boleslavsky's Acting: The First Six Lessons is a treasure-box of wise observation about the art of acting, all wrapped up in six charming dialogues between a teacher and a student. This complete reference is filled with professional tips and techniques for strengthening acting skills and is packed with practical, step-by-step reference pictures in full color. 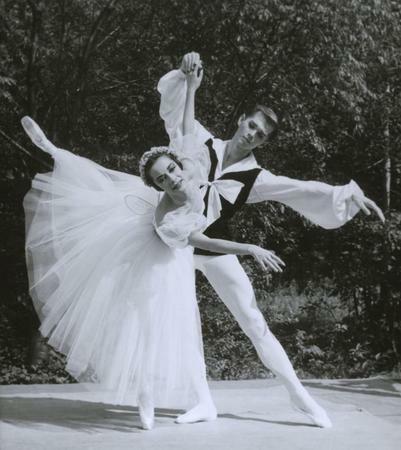 Videos and photographs of dance performances at Jacob's Pillow since 1930s. Movement: Onstage and Off is the complete guide for actors to the most effective techniques for developing a fully expressive body. It is a comprehensive compilation of established fundamentals. Nearly 2,000 articles written by scholars from over fifty countries, the International Encyclopedia of Dance offers authoritative coverage of the full spectrum of dance, including theatrical dance, ritual dance-drama, folk, traditional, ethnic, and social dance. Beginning with an exploration of the role of a Costume Designer, the subsequent chapters analyse and explore the psychology of dress, the principles and elements of design, how to create costume renderings, and collaboration within the production. The book also takes a look at the costume shop and the role of the designer within it, and costume design careers within theatrical and fashion industries. A Sourcebook for Stage and Production Designers covers the visual, social, and political dynamics of multiple epochs and cultures and discusses how these trends affect the design of the architecture, costumes, and furnishings of the time. Surveys clothing and body adornment, and examines the origins of clothing, the development of fabrics and technologies, and the social meanings of dress. It also presents information on representative costumes from a wide variety of historical eras. Stagecraft Fundamentals is the only book that tackles every aspect of theatre production. The history of stagecraft, safety precautions, lighting, costumes, scenery, career planning tips, and more are discussed with modern, color examples that display both step-by-step procedures and the finished product. From the student beginning in theatre to the practiced, Rita Kogler Carver assembles her vast experience into a one-stop guide for theatrical production. A step-by-step approach to the most prevalent and established theatre production practices, focusing on essential issues related to the construction of wooden, fabric, plastic, and metal scenery used on the stage. Among the topics covered are choosing and using equipment; working with color; techniques for focusing; planning, testing, and executing a lighting design; lighting in the round and other staging layouts; and lighting Shakespeare, Brecht, and many other production styles. Survey of the evolving context, theory, and practice of scene design from ancient Greek times to the present, coauthored by the world's best-known authority on the subject and enhanced by three hundred full-color illustrations. A chronicle of the activities of the new stagecraft designers and their followers with an appraisal of the state of the art and the European influences previous to their appearance. Robert Cohen draws on fifty years of acting, directing and teaching experience in order to illustrate how the world's great theatre artists combine collaboration with leadership at all levels, from a production's conception to its final performance. Discusses artistic and political values, rehearsal methods and the diverging relationships with actors, designers, other collaborators and audiences, and treatment of dramatic material. The Library of Congress Classification System groups plays by country/language, time period, and author name. There are also special sections within these that are specifically for collections of plays. See Browsing in the Library for more details.